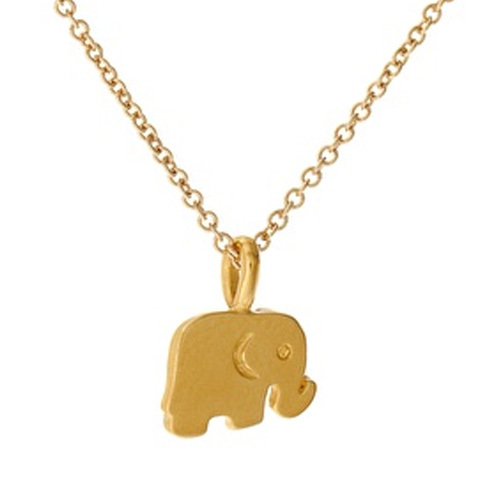 Dogeared Good Luck Reminder Necklace with Gold Filled Elephant. Card Message: Make a wish and put on your necklace.. Elephants are one of the oldest symbols of good luck. Wear your necklace as a reminder that whenever you need a little extra luck, just point your trunk up towards the sky and believe! 16" gold filled chain. 9mm gold dipped elephant charm.